Discover the savage beauty of Conan’s vast open-world in full 360 degree screenshots. Funcom announces localization line-up for Conan Exiles; game will be available in 11 languages from the start of Early Access. 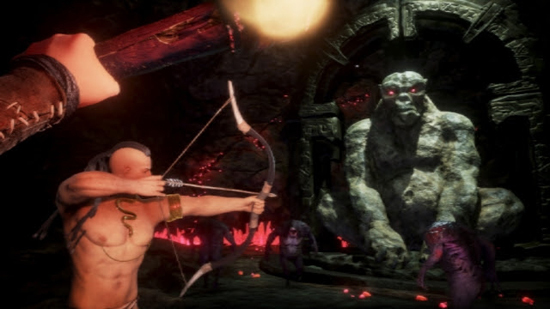 In less than three months, gamers everywhere will get to follow in the bloodstained footsteps of the world’s greatest fantasy hero as Conan Exiles, Funcom’s upcoming open-world survival game, hacks and slashes its way into Early Access. The development team is currently hard at work bringing the world of Conan to life, and today Funcom released a collection of new screenshots which captures just how far the game has progressed visually the past few months. Funcom is also thrilled to announce it has teamed up with NVIDIA to implement their cutting-edge Ansel technology which lets players take breathtaking 360 degree screenshots of the game. These screenshots can even be viewed in VR with devices such as Vive, Oculus Rift, and mobile VR. Funcom has today released several new 360 degree screenshots of Conan Exiles available on the link above. Funcom today also announced that Conan Exiles will be available in 11 languages when it enters Early Access in January 2017: English, German, French, Spanish, Russian, Polish, Brazilian Portuguese, Japanese, Korean, Simplified Chinese, and Traditional Chinese. “We want to make sure the game is available to as many people as possible from the very start of Early Access,” says Funcom CEO Rui Casais. “Releasing a game into Early Access means building a community of players around it that helps us as developers realize the full potential of the game. The more people we can include in that process, the better it will be for the game and for the players." 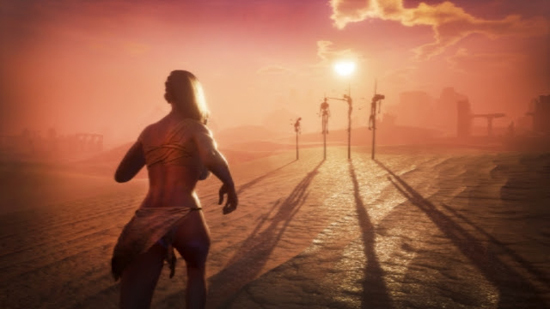 'CONAN EXILES' is an open-world survival game set in the brutal lands of Conan the Barbarian, the world's greatest fantasy hero. The game can be played on private and public servers, either in multiplayer or local single-player. Journey through a vast, seamless world filled with the ruins of ancient civilizations and uncover its dark history and buried secrets as you seek to conquer and dominate the exiled lands yourself. 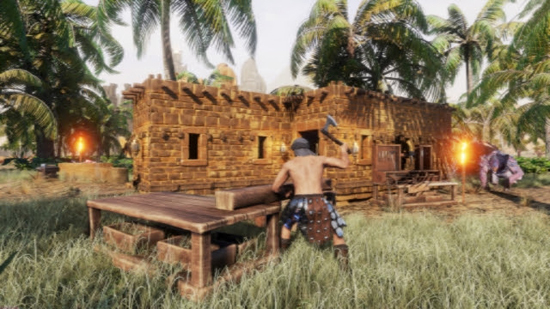 Start with nothing but your bare hands and forge the legacy of your clan, from simple tools and weapons to gigantic fortresses and entire cities. Enslave the bandits of the exiled lands to do your bidding by breaking them on the grueling Wheel of Pain. Sacrifice the beating hearts of your enemies on the blood-soiled altars of your god to seize true power and glory. Summon the colossal avatar of your god and see them lay waste to your enemies and their homes.